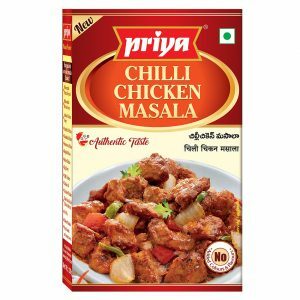 Priya Foods Presents a Unique Range of Masalas with Non-Veg & Veg Flavours Drawn from Popular Recipes of AP & TS & Other Regions of India. Submit Your Story & Get A Chance to Win ‘DEAL OF THE MONTH’ Gift Hamper. 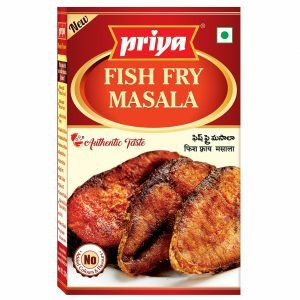 Priya Foods offers an excellent opportunity to share “YOUR STORY WITH PRIYA”. Let’s take a trip down memory lane, share those small moments which you cherish deep in your heart. 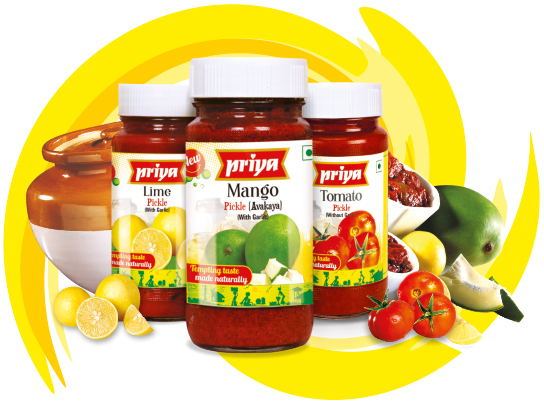 Start Sharing your Sweet Memory with Priya…. 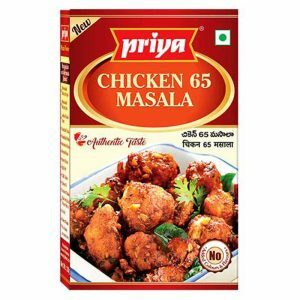 Bringing traditional taste to your kitchen for 38 years. 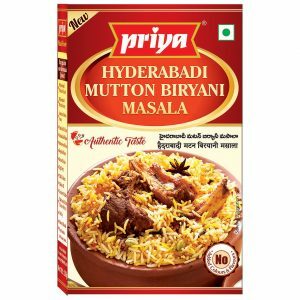 Priya Foods is the registered trademark of Ushodaya Enterprises Private Limited, a part of renowned Ramoji Group headquartered in Hyderabad. 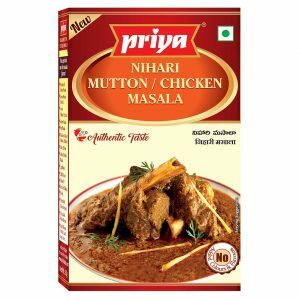 Priya Foods's state-of-the-art and most expansive manufacturing facility enjoys HACCP accreditation by FOOD CERT – NL, Dutch Council for Accreditation (RvA). This certification signifies an assurance to consumers, marketers, regulatory agencies and others regarding the quality and safety of the company’s products, hygiene and sanitation standards adopted by the facility, and their continued reliability. Get an additional discount of 10% on your order by paying with your debit or credit card. We offer Secured Encrypted Server to give you SAFE shopping experience.